I recently discovered a great new tool for productivity tracking called Trello that has helped me a ton! I still use my bullet journal as well, but I keep my monthly goals and planned projects on my Trello board as well so that way they’re just a click away when I’m working on various projects. I wanted to give a brief overview here on my blog so you can see if it’s a tool that might help you as well. Whether you are working by yourself or with a team, you can use Trello to track your tasks visually on a board. Overall, I found the user interface to be really fluid and easy to use, so there’s not much of a learning curve to figuring out how to use the boards. You can really set up your board in whatever way works best for you. You can make lists and then fill them with cards that represent different tasks. You can also easily drag and drop cards between lists, so it’s simple to move things around your board as you need to. 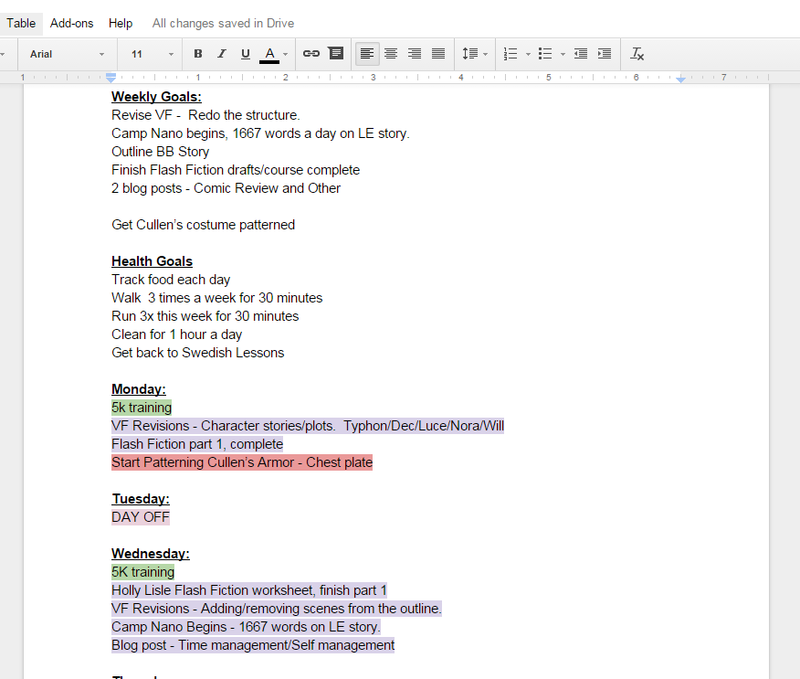 Color coding, the ability to add checklists, and the ability to add deadlines are by far my favorite features! You can add a color label to cards, so if you have interconnected projects you can add the color label to them and easily see where all the different pieces are. Checklists are nice if you are like me and love the feeling of marking something off the to-do list. You can also see how many of the checklist tasks have been done by just looking at the board itself, so you have an easy idea of how much more you need to do. Deadlines are something I like to have, even if I miss them, so I have something to work towards. If you haven’t tried Trello out, I would definitely give it a whirl! A basic account is free to use and it has all the features I mentioned here. If you’re looking for more advanced features, you can get a Business Class account for you and your team, which is super affordable at $10 a month. Creative work can be isolating and it is easy to lose your motivation when you feel like you spend day in and day out working on your projects alone. Finding a friend or creative partner to help you stay on task is a great way to keep yourself motivated. I have had a few different accountability partners over the years and it has made all the difference. A few years ago a dear friend and I decided we would work together through “accountability sprints” where we would check in via email every hour or so to see what the other had worked on. More recently, I’ve done weekly or bi-weekly check-ins with my accountability partner because that’s what our schedules allow for. If you need motivation and you want to start looking for someone to help hold you accountable, here are some tips and tricks I have learned over the years. I’ve done this a few different ways. As I mentioned above, I have had partners I checked in with pretty frequently and some that I only checked in with every week or so. When we check in we always go over what we accomplished, what we did not quite finish, and what we want to do in the future. You can use tools like a shared google doc to keep track of what you are currently working on, so your partner can visually see what your goals are and what you are working towards. You need to be able to give and take constructive criticism from your accountability buddy. If you can’t be honest about your productivity with your partner, then it may be difficult for the partnership to really push you to do more. The two best accountability partners I’ve had were people I was good friends with first. We both knew when to say “Hey, dude, you are slacking” and when to say “Hey, I know you did not hit all your goals this week, but you worked really hard and that matters.” Finding someone that you share enough trust with that they can give you honest feedback and helpful praise is really important. A couple years ago I met a friend who I thought would make a good accountability buddy. They were just starting to build a writing career, so they needed a lot of feedback, but they seemed rather eager and willing to do start the work so I dove in. As time went on, I realized that I was giving them a lot of constructive comments on their work and trying to motivate them past the planning/plotting stage of their work. As the months wore on, they stayed stuck in that stage and I realized it was not working out for either of us. It’s best to find someone who is on a similar level to you creatively. If you work with someone who has some finished work and has shown they can start and finish their projects it is more likely you’ll both be able to move forward creatively together. One thing from my career as a teacher that stuck with me is that you need to give a good amount of positive feedback and give negative feedback carefully and kindly. This applies to being a good accountability buddy too! Think about the feedback you give and make sure it’s both helpful and productive. You want to be a good cheerleader for your buddy and have them be a good cheerleader for you too! In a video game, when you gain enough experience points and you’ve fought enough monsters, you level up. Leveling up generally means that two things happen: First, you get access to better equipment and new quests, and second, the quests also have leveled up and you face a new level difficulty. So how do you level up your real life? How does it feel once you’ve leveled up? What do you do once you’ve leveled up? Start from the bottom and break down big goals. You may wander into a few caves where there are level 70 trolls and you’re still rocking your level 5 daggers, metaphorically, of course. In normal person speak: You may have big goals you’re trying to achieve or big obstacles to overcome. Rather than running full tilt at these things, sometimes it’s best to break what you are doing down into smaller, more achievable goals. If you want to write a movie and get it made, but have never written a script before, setting a 3-month deadline for that goal is likely to lead to some heartache. That’s making your goal int a level 70 troll, and you’re not ready to fight that troll. Instead, you might want to take a screenwriting class, or read books on screenwriting. Maybe your 3-month goal is to take a class and have a rough draft of your script, by that point. That’s more like a level 10 troll, and something you can definitely manage. In lots of games, there are ways to grind and gain levels quickly. The problem is, if you don’t put the work in, you miss valuable lessons and content along the way. Most of the people you admire scraped and hustled when they started out. Lots of writers worked a full-time job while writing their first novels, comics, etc. There might be a few that got lucky and somehow got the maximum payoff for minimal effort, but those people are usually few and far between and they often had someone helping them along the way. There are times that putting in the maximum effort will be frustrating and disheartening, but we don’t get anywhere by standing still. Keeping going. If you work strategy isn’t working and you’re not making progress, step back and re-assess. How do you know when you’ve leveled up? Things get harder. But they also get easier. You know you’ve leveled up with the difficulty of things kicks up a notch, but you also find yourself able to rise to the occasion. You’ve worked hard to gain new skills and insight, and though the new challenges are unfamiliar or unventured, you still have a bit of inspiration to go after them. I won’t lie, there are times “gaining a new level” fills me with worry and anxiety. I wonder if I am able to face the new challenges in my life and still manage my time. You can use that fear as fuel, take it as a dare to dream bigger and do more than you did before. In many ways, our biggest limits are in our head. We all know it takes a lot of work to get better at writing, because the only way to truly improve is to keep writing. I used to not worry so much about time management, but in the last two years as I started working towards a career in writing, it became a bigger focus for me. Each day I have to direct my own schedule and for the most part, no one is looking over my shoulder making sure I get my work done. So out of this need for self direction was born a need to productive with my time. There are lots of ways to do this and I’ll show you some of the strategies that have worked for me, and some that haven’t but might work for you. This one is probably my most simple tool. I set a time I’m going to work and I work for that time. Usually it’s 25-35 minutes. I also have sprinting buddies that I email when I’m ready to go, to see if they want to join in. At the end of the sprint, we email each other again and report what we got accomplished. Having a buddy is an awesome way to make yourself accountable…And honestly? Writing can be a lonely job. This is the writer’s equivalent of co-workers. Also, if you’re a little competitive like me and you have friends who are sprinting with you, have them report their word count. I’m a slow writer so seeing that my friends have twice the word count I do in some of our sprint, spurs me to write more and try to get faster. 1, You work for 25 minutes and give that work your complete and undivided attention. I use Chrome as my browser, and you can even get an add-on for it that blocks sites like Facebook and Tumblr while you’re working, so you have less opportunity for distraction. 2. Once your 25 minutes is up, you take a 5 minute break. Play clash of clans, watch that youtube video your sister sent you, and check facebook. When the 5 minutes is up, you jump back into your next work session. 3. Focus on your work for another 25 minutes. Then take another five minute break. Once you’ve done this process 4 times (2 hours) take a longer break, usually 15-30 minutes. I sometimes lose track of time, so you can use the timer on your phone or you can even get a tomato timer from The Pomodoro Technique’s website, you can also find more info about this method there. 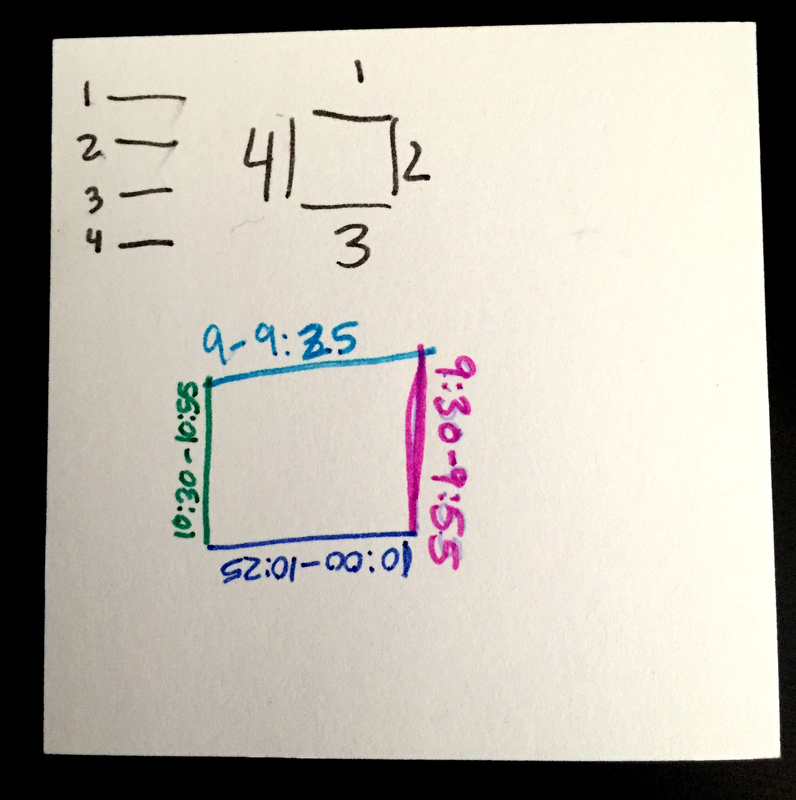 I also tend to draw squares with my times on them, so I can keep track of what my work sessions were, like the picture below. I’ll be honest, I haven’t been able to get myself into using these as much, but I have friends who they work really well for. This is sort of a watered down version of it, I’ve seen people with much more elaborate tables. Mine table is pretty basic, To Do, Doing, Done. Where I fail with this method, is that I forget to move things around. I will have things that were done, and forget to move them over. So I think I’m more of a list maker and less of a table user. Which leads us to our next tool! My KanBan Table. You can also do them on a white board, I’m just a sticky note fanatic. Each week, usually on Sunday night, I make a list of what I want to accomplish for the week, then I break that down into daily tasks for each day of the week. I generally write it on a google doc and put it on a post-it note that I can physically cross tasks off of, which will both be pictured below. I also tend to write them in my day planner, and sometimes I put them into HabitRPG, which is awesome for productivity and for fun! The great thing about goal setting, is it really feeds itself. Each week you make a list of what you want to get done. The most important thing to do when you make your list, is to make sure that these goals are getting you closer to what you want. If I want to be a writer who writes fiction, if my goals are learning the trombone, I’m probably not going to be getting much closer to my dreams. Also, make your goals things you can accomplish and things that are realistic. For most people, writing the first draft of their first novel in a week isn’t realistic. There are a few of us out there that can do it, but they are few and far between. Make sure they push you a little too, we all need a challenge if we want to get better. My Goal Post-its! I cross out as I go along and let that feeling of awesome accomplishment was over me. Google Doc list of my goals. This is usually the list I refer back to is all else fails. 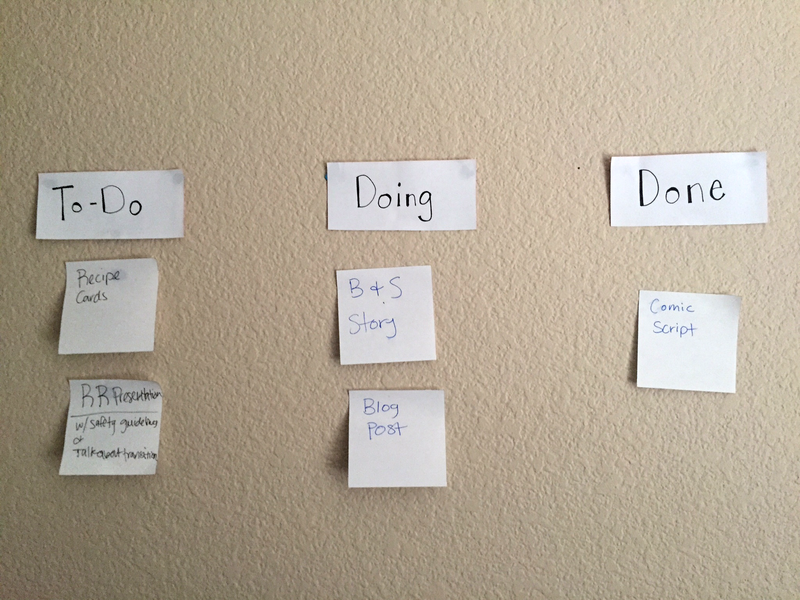 So those are some of the ways I keep myself on track as I work toward a career in writing. How about you? What methods have you found that help you stay on track?